A vessel belonging to the Malaysia Maritime Department and a Greek panamax bulker have collided in an incident likely to spark further political tension between Singapore and Malaysia. Malaysian authorities say the incident occurred within Malaysian Territorial Waters in the Johor new port limits. The Greek bulker Pireaus, owned by Chronos Shipping, was on its way from Singapore to Tanjung Pelepas in Malaysia when the collision with buoy-laying vessel Polaris occurred. Researchers sees a rise in the use on ships of “scrubbers”, the equipment to clean up sulphur emissions, before IMO imposes new rules from Jan. 1 2020 to limit sulphur content in fuel. It is forecast that just over 10% of marine fuel will be scrubbed in 2020 when the regulations kick in. The IMO will prohibit ships using fuels with sulphur content above 0.5 percent, unless they are equipped with scrubbers. compliance with the regulation to be at 85% in 2020, rising to full compliance by 2025. Use of LNG will increase 70% between 2019 and 2020, which will displace 100,000 barrels per day (bpd) of marine fuels in 2020. Bulkers are facing “significant” delays in moving coal shipments out of a number of ports in Indonesia, on the back of newly enforced insurance laws in the archipelago. The latest weekly report from Alphabulk, part of France’s AXS Marine, states that a “raft of ships” are being help up as Jakarta has forced coal exporters to use local insurers. Port authorities are checking exporters and vessels to see if the right insurance is in place leading to the delays. A second regulation due to come into force on May 1 2020 could have far wider implications, as exporters will be forced to use Indonesian-controlled vessels. The British government has axed its no-deal Brexit contract with a ferry company which had no ships, after the Irish company backing the deal pulled out. Transport Secretary Chris Grayling had faced criticism for the £13.8m deal with Seaborne Freight, which the BBC found had never run a ferry service. The government said it is in “advanced talks” to find another ferry firm. But local MP Craig Mackinlay said this could be the “last throw of the dice” for commercial shipping from Ramsgate. Meanwhile, Labour has called on Mr Grayling to resign or be sacked, describing him as “the worst secretary of state ever”. Nigerian authorities have launched a clampdown on vessels that do not comply with the country’s cabotage laws detaining a Navigator Gas LPG carrier. The Nigerian Maritime Administration and Safety Agency (NIMASA) said it had commenced a clampdown on vessels operating in domestic waters that did not comply with the Cabotage Act of 2003, following several warnings to the industry. NIMASA said it had approved a detention order for the LPG carrier Navigator Capricorn, part of the Navigator Gas fleet, for contravening the Cabotage Act. US ocean exploration company Ocean Infinity has announced that it has mobilised its survey vessel Seabed Constructor from Cape Town to begin the search for VLOC Stellar Daisy. Ocean Infinity was contracted by the South Korean government in December to find the vessel. Stellar Daisy, owned by South Korean company Polaris Shipping, sank in the South Atlantic in March 2017, resulting in the loss of 22 lives. The ship, which was transporting iron ore from Brazil to China, is believed to have gone down in the South Atlantic Ocean approximately 1800 nautical miles due west of Cape Town. According to an International Dry Bulk Terminals Group study, there is a disturbing industry uptick in crewmember deaths in confined spaces. 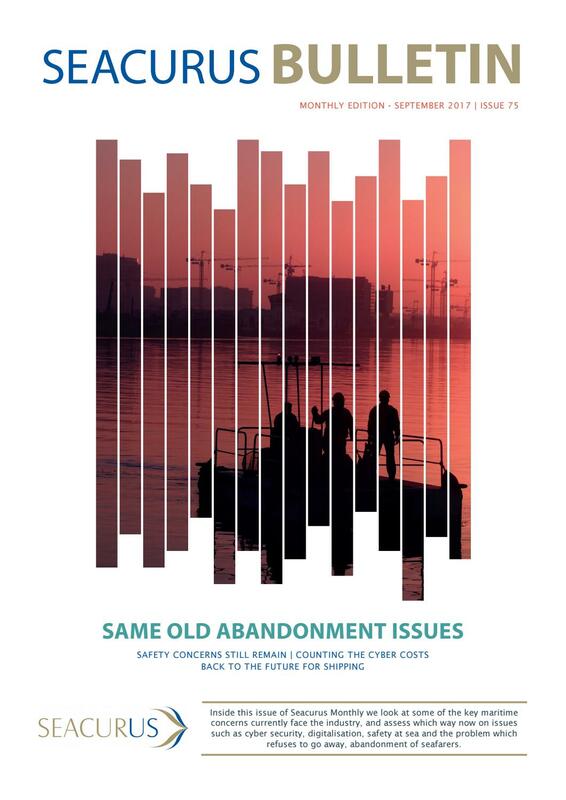 While human error is the root cause generally, there are technologies that ship managers may implement to prevent such tragedies from occurring. Remote centralized confined-space monitoring systems compliant with OSHA’s confined-space entry standards may be set up either on the vessel or onshore to enhance safety and manage any issue quickly, acting as another layer of protection as crew members follow existing confined space entry procedures. It’s never ideal if you own a fleet of crude tankers and the world’s oil producers remove millions of barrels of cargo from the market to avert a glut. Nor is a collapse in charter rates normally the best news. While both those things happened in the past few months, the people paid to evaluate the shipping industry’s prospects are actually turning a little more bullish. The analysts’ optimism stems from a conviction that the world’s refineries will have to process more crude in order to supply ships with new kinds of fuel in 2020 under rules set out by the International Maritime Organization. Wärtsilä has been selected to provide hybrid battery system in the world’s first conversion of a short sea cargo ship to electric power. Wärtsilä said Friday it has signed an agreement with international shipping company Hagland Shipping to convert the 2012-built, conventionally-powered MV Hagland Captain to hybrid battery power, which will allow the vessel to operate with zero emissions near shore and in ports. Wärtsilä says the installation of the hybrid propulsion system will significantly enhance the ship’s environmental performance by reducing emissions, fuel consumption, and noise. Save Falls of Clyde-International has launched a gofundme fundraiser in an a last ditch effort to stop the disposal of the 140-year-old tall ship Falls of Clyde, currently based in Hawaii. The 285-foot long and 40-foot wide vessel built by shipbuilders Russell & Co. in 1878 entered service as part of the Falls Line fleet, all of which were named after Scottish waterfalls, and she sailed to ports on all continents except Antarctica. The group is refusing to give up and firmly believes that the historic vessel can and will still be saved from destruction.